Pre-Recorded 1/4" X 7", Normal Bias Reel-to-Reel tape. "Grab-bag" assortment of brands may, but not necessarily include Ampex, BASF, Irish, Kodak, Realistic, Scotch / 3M, Sony, Soundcraft, and others. 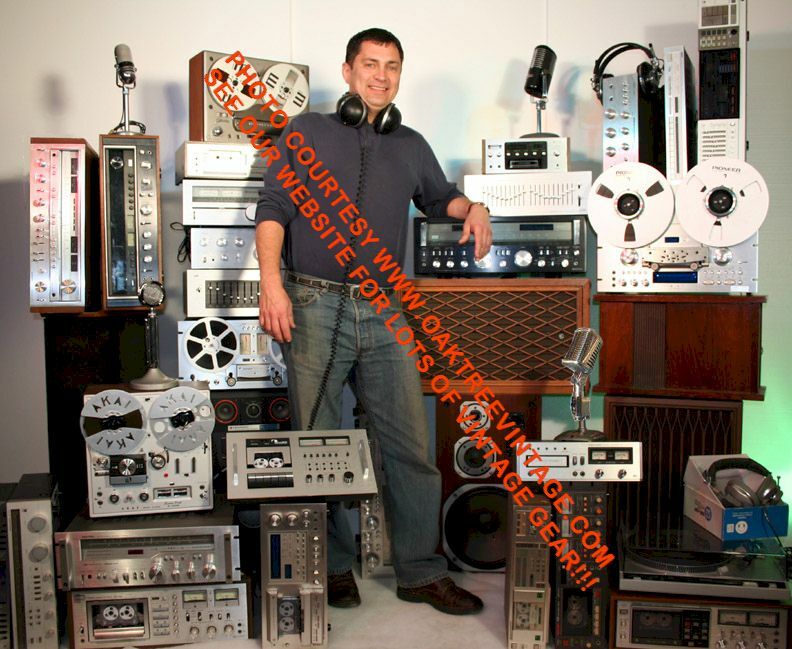 We have actually found that 'Normal' bias tape works best on the older decks such as the pre 1980 Akai's, Concertone's, Craigs, Crowns, Grundigs, Kenwoods, Pioneers, Realistics, Sansui's, Sony TC's, Tandbergs, Teacs, Telefunkens, etc. We have gotten some fine recordings using this tape (also, due to the extreme 'retention' of high bias tape some times it is difficult to erase). Normal Bias tapes always seem to erase well. Most will be at least 1800 feet and some with leaders intact and may or may not include individual box (often do). Most have been used and possibly have recordings on them. Boxes and / or reels may have extraneous labels and / or marking on them. Reels may have blemishes / nicotine staining / dust etc. You will need to come up with your own labels as even if they are in the box, they likely aren't "sticky" anymore. Leaders may or may not be intact, and even if they are, their splices may give way and need to be re-spliced. Due to unpredictability of stocks we cannot "cherry pick" brands so they are always assorted. Plastic reels may be clear or black. Will work on any 'head format', meaning 'quarter track', 'half-track', 'full-track', '4-track / '8-track' / 'multi-track', stereo or mono tape recorders / decks. Use a bulk eraser or will simply erase when new recordings are made on your deck (assuming your 'erase' is functioning). We can also do a "Bulk erase" on your tapes for an additional $2.00 ea. *Shipping within the United States is included in price. For other shipping destinations, please call or email for shipping cost. 800-806-4231 ext 2 for sales, 10:00AM to 5:30PM MTN (Colorado, USA) time. 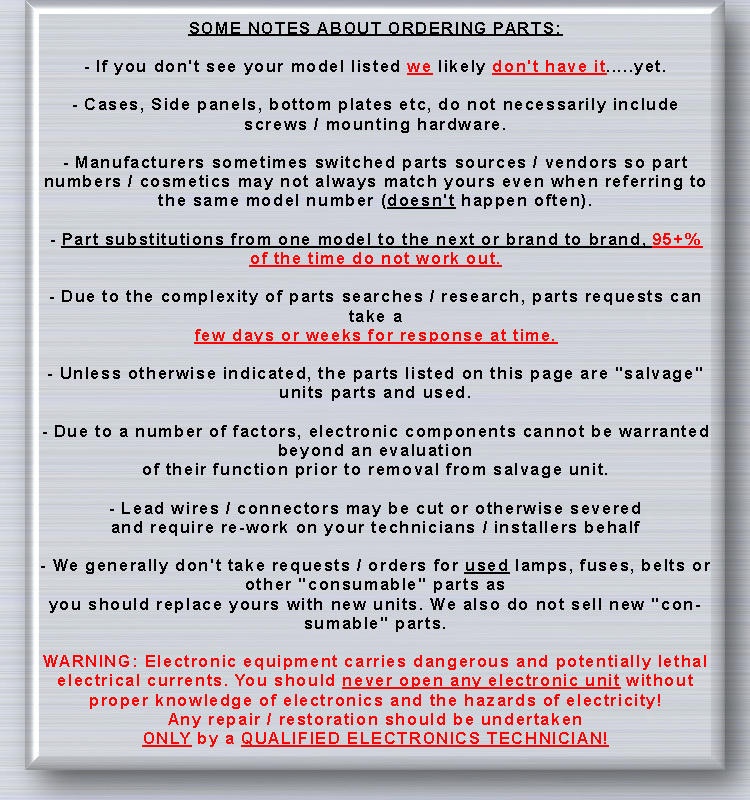 WARNING: Electronic equipment carries dangerous and potentially lethal electrical currents. You should never open or attempt to service any electronic unit without proper knowledge of electronics and the hazards of electricity!